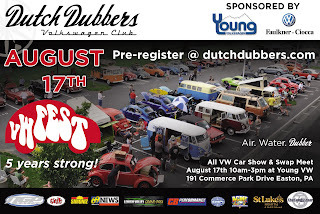 Good showing today by the Dutch Dubbers at the 2013 Deutsche Classic, a Mid Atlantic Premier All-German Auto Event located in Oley, PA. This was a new location for Deutsche Classic this year and some were weary by the venue change, however we can tell you first hand the team at Transportation Emporium pulled it off once again. This is truly a unique show from the topheys to the amazing variety of cars from VW, Audi, Porsche, BMW, Opel, Mercedes Benz and even Buggati Veyron's show up this year (ok well just one). 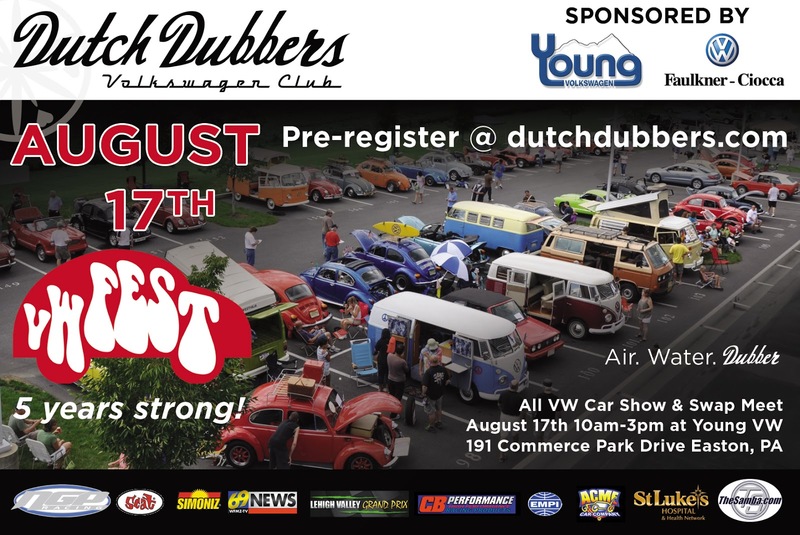 Pre-registration has opened for VWFEST 5 which will be held on August 17th from 10am-3pm at Young VW in Easton, PA. This is an all VW charity car show and in it's 5th year that will benefit Alzheimer’s Association. We also have opened vendor pre-registration as well, which you can choose your vendor space size options along with power if needed.